Granbury’s calendar is packed with fun-filled downtown festivals year-round. These famous festivals attract countless tourists and locals, and are great for the entire family. One of these great festivals is the well-known Granbury’s Old Fashioned Fourth of July Festival, featuring one of the top-rated Firework Shows in America! Others include the Harvest Moon Festival of the Arts, General Granbury’s Birthday Celebration, the Granbury Wine Walk, Memorial Day Weekend in Granbury and much more. Trying to decide when is the best time to visit? 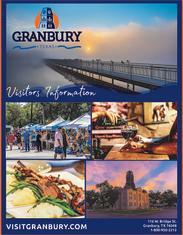 With a year-long packed schedule of family-friendly events and festivals, any season is in-season for a trip to Granbury, Texas!